Taxi transfer from Heraklion Airport or from Heraklion Port to elounda mare HOTEL with Mercedes E-Class taxi at the rate of 100.00 € each way for up to 4 persons and 3 pieces of luggage. Please advise flight details so to confirm the service. 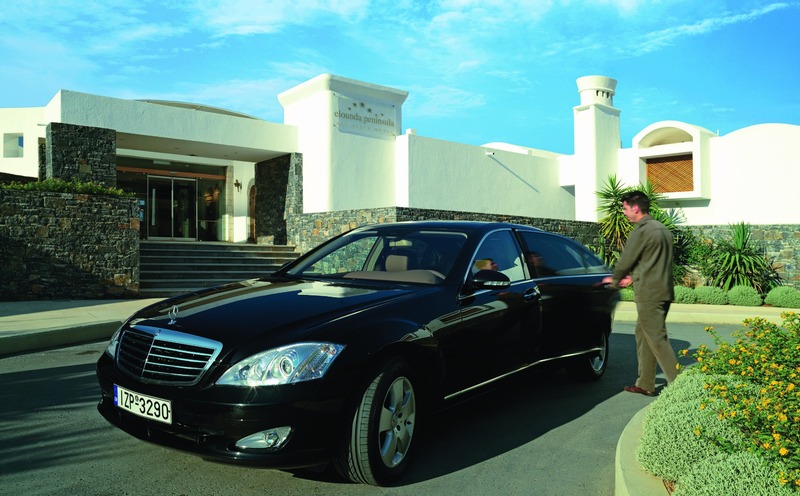 To arrive in comfort from Heraklion Airport or Port to elounda mare, we can arrange your luxury transportation with Mercedes S-Class taxi at the rate of 150,00 € each way. One car for up to 4 persons and 3 pieces of luggage. Please provide your flight details so to confirm the services.